The new 2019 Acura ILX offers Kyle drivers that luxury feeling without paying that luxury price. We offer a large selection of new ILX models at Sterling Acura of Austin so visit us today to learn more and find that perfect model! Why Buy an Acura ILX? With advanced packages, you can access more features like 6-level heated front seats, Acura Navigation System with 3D View, and perforated Milano leather trimmed sport seating. Ready to jump into an ILX for yourself? 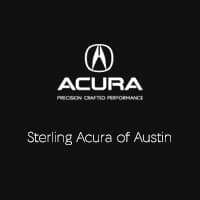 Contact us today or visit our Acura dealership in Austin to learn more!